The Suffolk Lark is one of the most recent additions to the Suffolk range. With ribbed side panels and a large plain door giving an excellent view of the fire, this stove looks impressive in many fireplace settings. 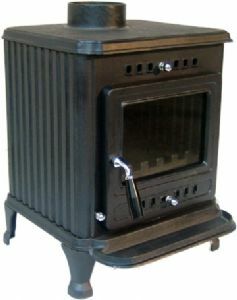 Suitable for installation on a 12mm hearth, the Lark includes a multifuel riddling grate giving the option to burn either smokeless coal or wood.